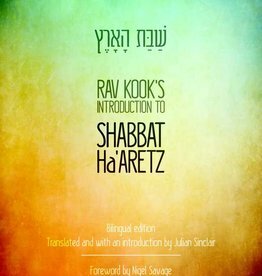 Without sustenance, there is no Torah. 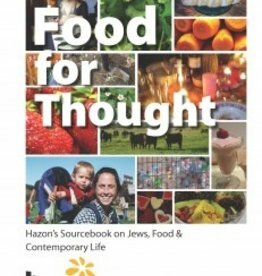 Without Torah, there is no sustenance. 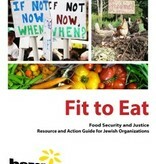 —Pirke Avot 3:21 The link between food and faith obligates us as Jews to challenge the injustice of hunger, champion the right to food, and steward the land on which our sustenance depends.Fit to Eat cover final For Jewish institutions, aligning with the food justice movement and local food security efforts challenges your institution to be relevant and respond to your community’s needs, to live Jewish values, and to provide meaningful opportunities for members, congregants, and students to mobilize change. 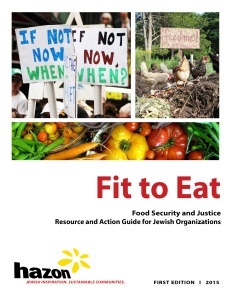 Fit to Eat: Food Security and Justice Resource and Action Guide is a resource for Jewish institutions to self-organize actions that deepen and broaden efforts to create a more just, fair food system. 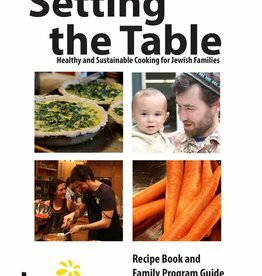 This guide provides a framework to learn more about our food system and Jewish traditions surrounding food justice; identify challenges specific to your local community; and create a plan for action that builds on the existing programs, skills, and assets of your Jewish institution. 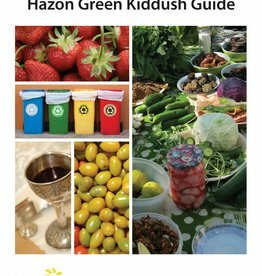 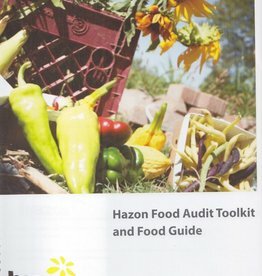 We welcome your feedback and suggestions and hope this guide can be a forum for all Jewish institutions to share best practices around food justice and food security action.